Photographer Jonathan Haward got this shot of the Ottawa Senators' Antoine Vermette putting one past New Jersey Devils goaltender Martin Brodeur from high above the ice. Only thing is the goal was scored after the first-period ended. It didn't count. The Senators defeated the Devils 2-0 anyway to take a 2-1 lead in the best-of-seven series. The State Department's annual global survey of terrorism reported that terrorist attacks worldwide increased more than 25 percent. The number of injuries from terrorist attacks also rose, by 54 percent, between 2005 and 2006, and the number of wounded doubled in Iraq over the period, according to the department's Country Reports on Terrorism 2006. 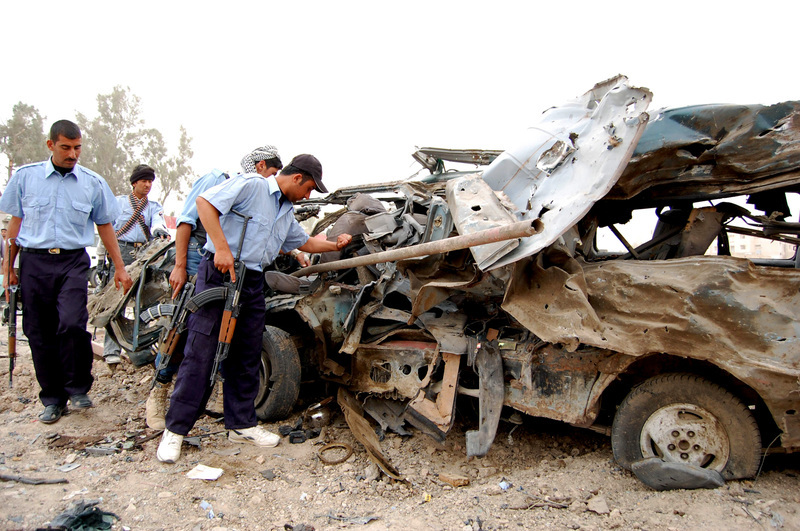 6,600, or 45 percent, of the attacks took place in Iraq, killing about 13,000 people, or 65 percent of the worldwide total of terrorist-related deaths in 2006. Afghanistan had 749 strikes in 2006, a 50 percent rise from 2005. As in previous years, the 2006 report identified Iran as the "most active state sponsor" of terror. Of the 58,000 people killed or wounded in terrorist attacks around the world in 2006, more than 50 percent were Muslims. Twenty-eight U.S. citizens were killed and 27 wounded in terrorist incidents in 2006. Our personalized Google home page has a Flash Pac-Man game, a text translator, free text messaging, a Wikipedia search box, driving directions and weather. But it also has this weird /ig coding after the Google.com -- and that's confused us for months. 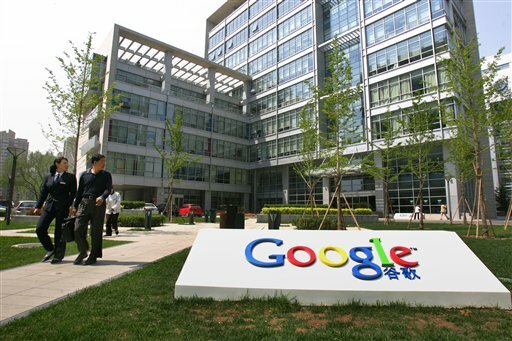 Finally, AP Business Writer (and resident Google guru) Michael Liedtke reveals that "ig" stands for iGoogle. We're not crazy about the whole "i before the name" tech nomenclature craze that was started by the iPod, but Google is Google, and it will do what it wants. The new brand launches tomorrow. 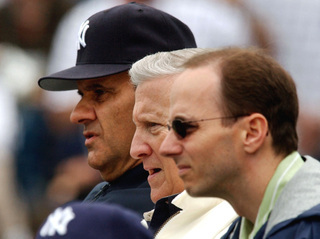 New York Yankees owner George Steinbrenner says he still believes in manager Joe Torre and general manager Brian Cashman. The notoriously-impatient owner said Monday that while he still backs Torre and Cashman, the Bronx Bombers' slow start was "clearly not acceptable." There's been speculation about Torre's job the past couple of years and it picked up over the weekend as the Yankees continued to struggle. Headed into Monday's games, New York was last in the NL East at 9-14, had lost eight of nine and was 1-5 against its biggest rival, the Boston Red Sox -- not exactly what Steinbrenner was looking for with a $195 million payroll. "The season is still very young, but up to now the results are clearly not acceptable to me or to Yankee fans," Steinbrenner said in a statement. "However, Brian Cashman, our general manager, Joe Torre, our manager, and our players all believe that they will turn this around quickly." There could be some changes if they don't. These five British citizens with connections to al-Qaida were sentenced to life in prison Monday for plotting to attack various targets in London. It was Britain's longest terror case. Read David Stringer's story to find out more about their links to the suicide bombers who killed 52 London commuters in 2005. An Israeli army-appointed commission of academics and officers is studying whether women should be integrated into the army's last all-male units: infantry, armor and special forces. 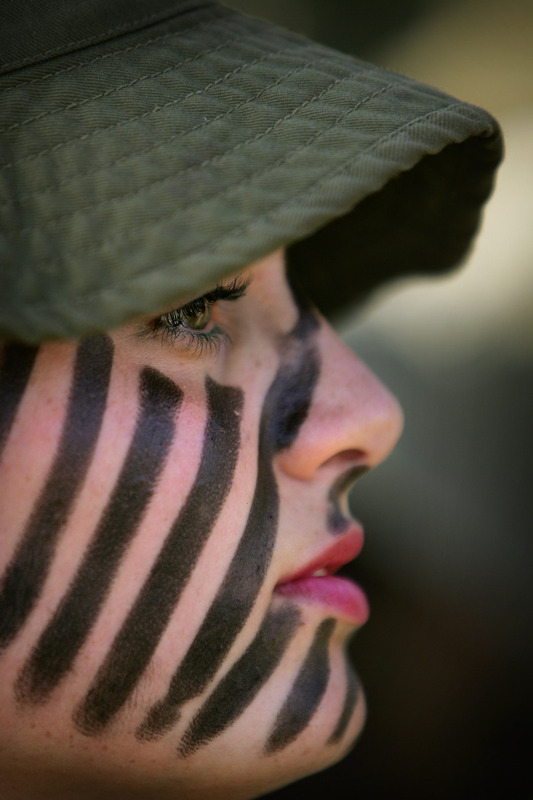 An Israeli soldier, shown above, is shown preparing in February for a military training session near Jerusalem. For more, read this AP story by Matti Friedman from Jerusalem. David Beckham sported a colorful new hairstyle Sunday during Real Madrid's Spanish league soccer match against Athletic Bilbao in Bilbao, Spain. 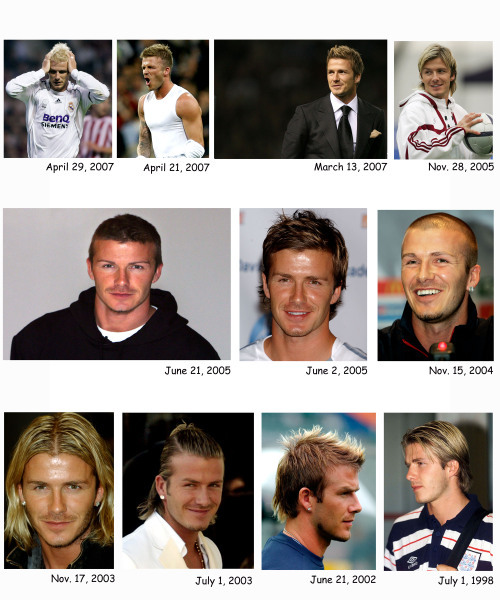 Out of curiosity, asap took a quick look at Beckham through the years in the AP archives. The result: at least 11 different hairstyles since 1998. Angelina Jolie attended the Tribeca Film Festival over the weekend to screen her new documentary "A Place in Time" with New York City school children. For more on Jolie and her movie, watch this AP video report. "I don't bounce as well off the concrete floors as I used to." 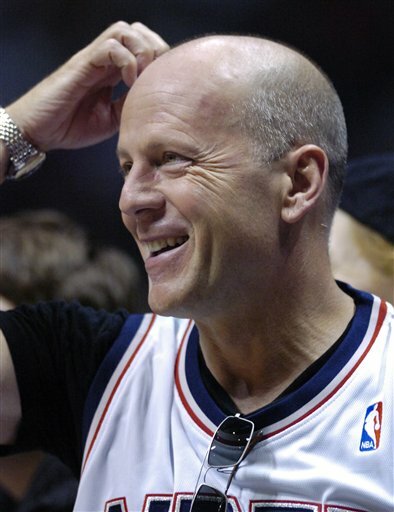 -- Bruce Willis, dying just a bit harder these days. 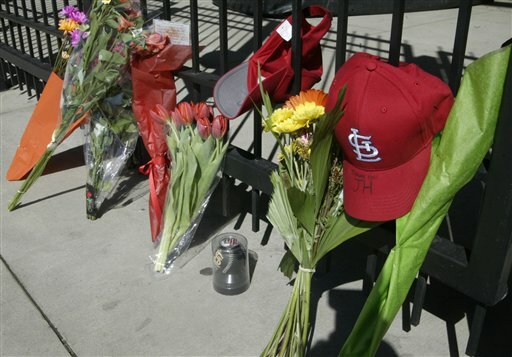 The St. Louis Cardinals are mourning the loss of a teammate for the second time in five years. 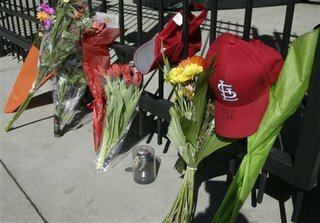 Josh Hancock, a member of the bullpen on St. Louis' World Series championship team last fall, was killed early Sunday when his sport utility vehicle slammed into a truck parked on the highway. The Cardinals postponed their home game Sunday night against the Chicago Cubs. They get back to the field tonight in in Milwaukee, where they're scheduled to play the host Brewers at 7:05 Eastern. Jim Salter, an AP correspondent in St. Louis, spoke with asap about what the Cardinals -- many of whom went through this when pitcher Darryl Kile died in his hotel room in Chicago of a coronary artery blockage in 2002 -- will have to do to carry on. Click here to see video of Salter's thoughts.